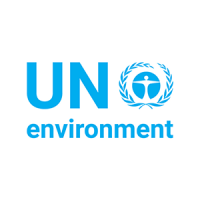 The United Nations Office for Project Services (UNOPS) is acting as the TLFF Grant Fund trustee. The TLFF Grant Fund is capitalized by multilateral, bilateral and philanthropic donors. It focuses on enhancing capacities on the ground to generate more green livelihood opportunities, strengthen wildlife conservation, protect forest cover, create resilience to climate change and improve the availability of renewable energy for rural communities. The TLFF invites contributions from philanthropic foundations and multilateral and bilateral entities, ensuring that their funding is leveraged with significant investments through the Tropical Landscapes Finance Facility. * Finance education for smallholders. * Investment bootcamp for young entrepreneurs. Building capacity where it matters the most! * Vocational training in remote villages to maintain and repair renewable energy infrastructure. * Training for farming communities to improve crop productivity and environmental performance. The Advisory Board is comprised of experts from numerous relevant entities and civil society stakeholders. The Board assesses potential capacity building necessities in projects selected by the TLFF. It reviews co-funding opportunities and supports projects to access required pre-investments. The Board also guides the development of an early stage pipeline and ensures that social and environmental benefits are achieved by the TLFF. The TLGF is being established and more information on the composition of the Advisory Board will be available soon. The TLFF Grant Fund will provide technical assistance and co-fund early stage development costs of assets financed by the Lending Facility. Provision of higher yielding seeds for smallholders, restoring productivity on degraded land, and technical support to increase productivity in the sustainable agriculture sector, and the construction phase in the renewable energy sector, are some of the types of greenfield support that the grant facility will provide in order to ensure that TLFF is not only commercially viable, but also delivers tangible environmental and social benefits that would not be achieved without it. If you are interested in funding the Tropical Landscapes Grant Fund please contact us for more information.